Well hello to you my reader chums! 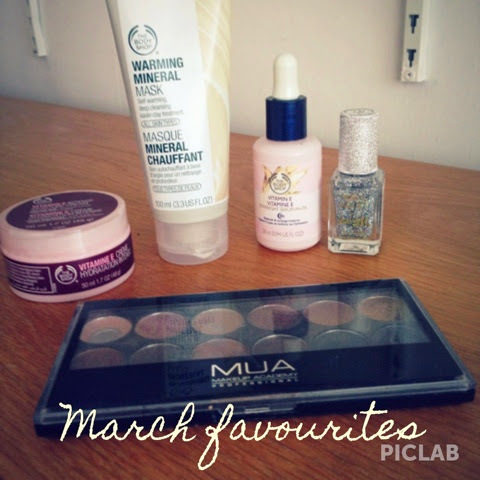 We're end of another month which means favourites time.I swear March literally just flew by, or was it just me? 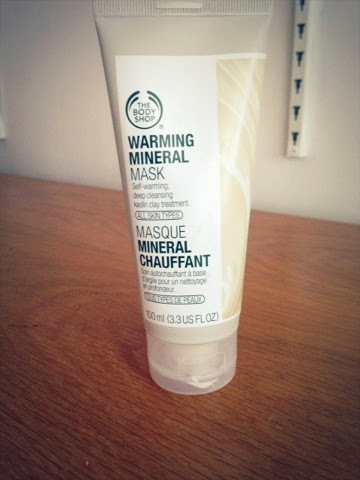 The first product is a warming mask by the body shop which I've already reviewed here. 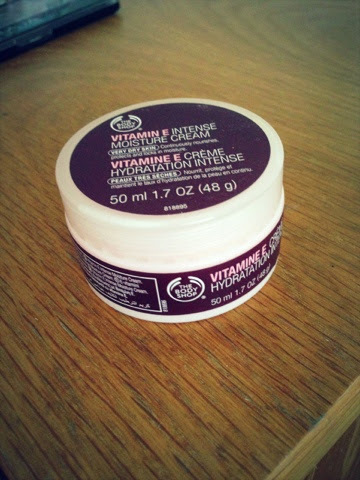 I absolutely adore this mask, it has the nicest smell and leaves the skin like its had a deep clean. 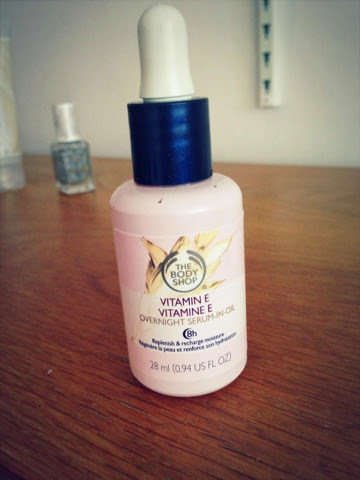 Another body shop product I've been loving this month is the overnight serum which is one of the newer products out. It's an oil designed to put on over night to replenish and recharge moisturise. Even though you can use it for your face, I've been loving to use it for my hands because they are really dry and this honestly does the job. I'd wake up the next morning and my hands would feel soft and smooth. Also, when I first used this I applied it on the dry patches on my face which I was suffering from lately and it helped them smooth them out with aid of the moisturiser I'm about to talk about. This body shop moisturiser is designed for very dry skin which I bought because of the dry areas I was suffering from on my face. Initially I used it in just these areas where after a few weeks of continuously applying it daily, the dry patches cleared up. I now use for my whole face and am loving it. Body shop moisturisers always feel so luxurious! They are extremely light on the skin yet they feel really creamy and rich. The smell of this one is beautiful too! A definite recommend! 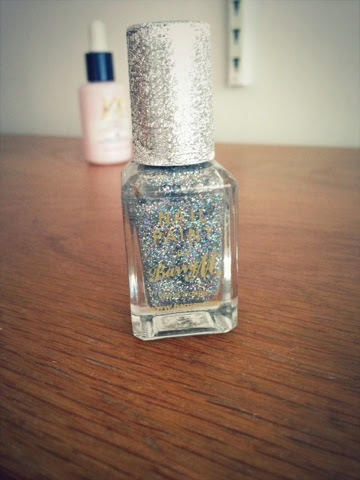 My favourite nail polish lately is this glittery nail polish by BarryM for an accent nail. I think having a bit of sparkle to your nails looks really pretty! The only negative about this polish is that it's really hard to budge when you want to remove it. However it's such an amazing consistency and the flecks of glitter are beautiful. 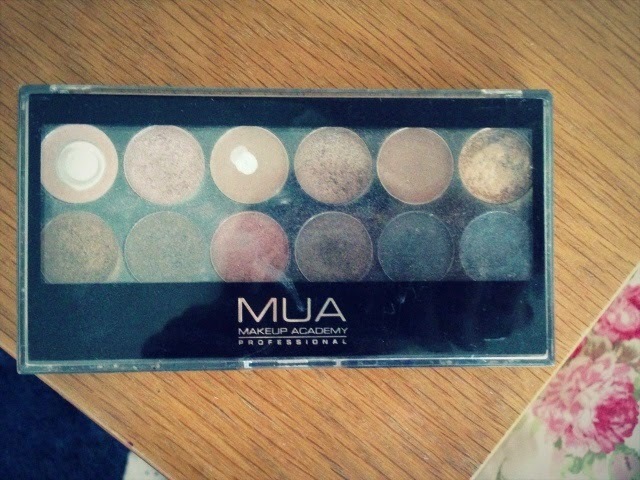 The last favourite product is the undress me palette by MUA. I've had this palette for a while now but I've rediscovered it lately. I've been using the rosy colours from this palette as I think a rosy eye look is gorgeous especially for the spring because it looks so fresh! I was wearing the rose toned colours the other day and my friend thought I had the naked 3 palette! MUA palettes are always such a bargain and the colours are rather pigmented for the price you pay, I just adore them! I definitely need to try all these body shop products! FOTD: Afternoon shopping with chummy!